Fancy a trip to the ends of the Earth? No problem – the Arctic and Antarctic are both on the travel agenda these days. But here’s a curious thing: in between there is a vast body of water that many cruisers overlook. Stretching from Africa and Arabia to southeast Asia, the Indian Ocean offers fabulous tropical coastlines and a host of exotic islands. Cruising is a wonderful way to get a taste of India – and as for those island idylls, why stick to one when you can visit several in a single holiday? Divided by the equator, the Indian Ocean is a particularly good choice in our winter or spring. So if you’re planning the trip of a lifetime in the next year or so, here are ten of the best ways to go. Crossing the Indian Ocean in just over two weeks, Celebrity’s Best of India & Sri Lanka voyage offers plenty of thrilling contrasts along the way. The 2,000-passenger Constellation glides out of sultry Singapore and heads north to forested Phuket in Thailand before sailing to Colombo, Sri Lanka’s largest city, where a ride in a tuk-tuk will soon immerse you in the atmosphere. Next come four destinations on the coast of India, including Goa, the former hippy favourite that now offers fine dining and fabulous shopping, and Mumbai, home of grand buildings and Bollywood. Magical Muscat in Oman is a bonus, before turning into the Arabian Gulf to Abu Dhabi and Dubai. There’s a few days at sea but you won’t mind that, thanks to Constellation’s adults-only solarium pool. On Fred Olsen’s classically elegant Boudicca, not only can you enjoy the casual British ambience, with treats such as afternoon tea, but you can take in a string of tropical jewels, from the Seychelles to Madagascar, the Comoros and Réunion. 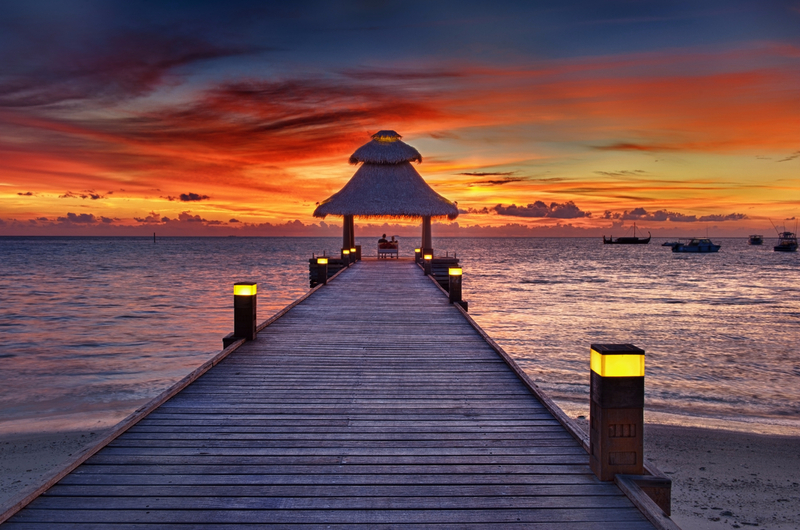 Round-trip from Mauritius, Boudicca’s Islands of the Indian Ocean voyage has many highlights. Praslin offers white-sand beaches and jungles packed with birdlife; Mayotte in the Comoros Islands has the ocean’s biggest lagoon, with boat trips through the mangroves; Nosy Be, off Madagascar, is the place to look for cute lemurs and comical chameleons, while Réunion is a volcanic outcrop with lush valleys and pounding waterfalls. And apart from all the David Attenborough stuff, you can also look forward to colourful markets and gardens galore. 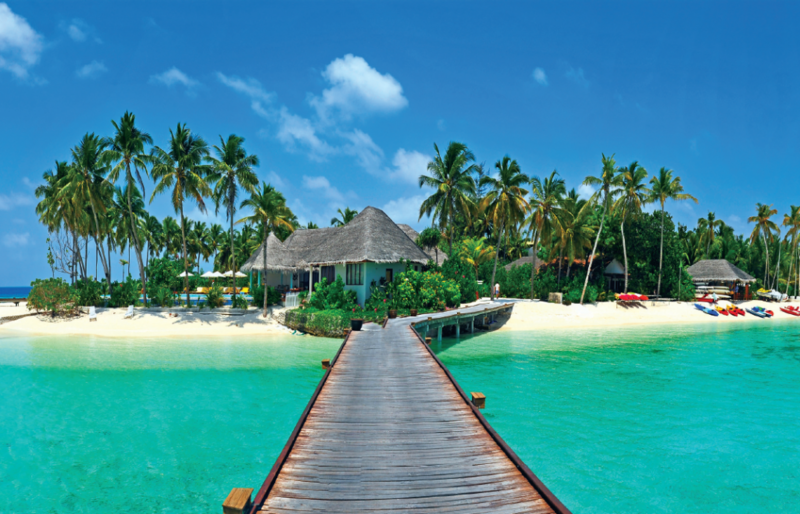 There’s no need to abandon glamour and style in pursuit of the Indian Ocean’s treasures. Cunard’s flagship, Queen Mary 2, will be slicing through the waves from Hong Kong to Dubai as part of her legendary world voyage. Stops include Nha Trang in Vietnam, noted for its beaches; Singapore, where the spectacular vertical Gardens by the Bay beckon; and Port Kelang, the gateway to the vibrant Malaysian capital, Kuala Lumpur. But that’s just for starters. Also on the itinerary are the holiday isles of Penang and Langkawi, Thailand’s lively Phuket, Colombo in Sri Lanka, Muscat in Oman and then an overnight stay in glittering Dubai before you fly home. Just to pick one diversion along the way, Penang’s Kek Lok Si temple has a dazzling seven-storey pagoda with thousands of statues of Buddha. Take a voyage deep into the Far East on this unique itinerary between Lautoka (known as “Sugar City”) in Fiji, and Benoa in Bali. Sailing aboard the all-inclusive, 332-guest MS Paul Gauguin, you’ll enjoy the luxury of one of the world’s most highly acclaimed ships. With calls at Vanuatu, Papua New Guinea, Indonesia and the tiny new nation of Timor-Leste, you’ll enjoy superb snorkeling and diving, quaint villages and a warm welcome from people of many different cultures. History buffs will thrill to the many landmarks of World War II that dot this region – including Guadalcanal, the Solomon Island where the tide turned against Japan in the Pacific war. And everyone will love the chance to explore Lombok Island, which lies just 40 miles east of Bali but is yet to be discovered by the tourist crowds. 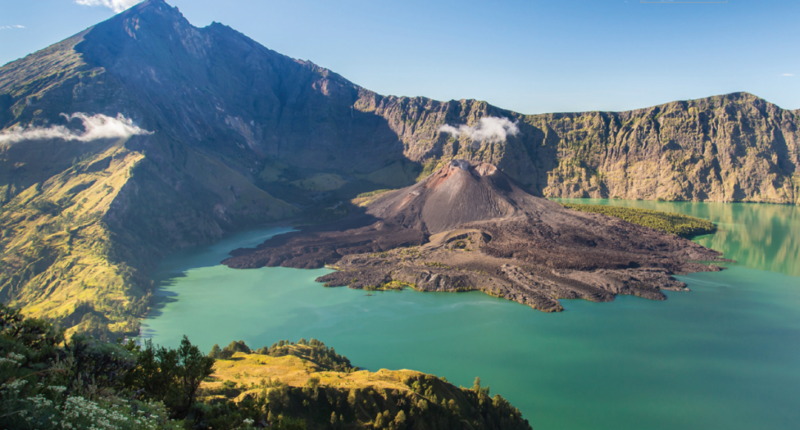 Winter will seem a long way away on Princess’s Malaysian Peninsula and Indonesia voyage. Starting and finishing in Singapore, the 2,600-guest Sapphire Princess makes her way first to Bali, where you’ll find the Indonesian island easily lives up to its promise of warm hospitality, serene temples and great beaches. Port Kelang, not far from Malaysia’s capital Kuala Lumpur, is next. 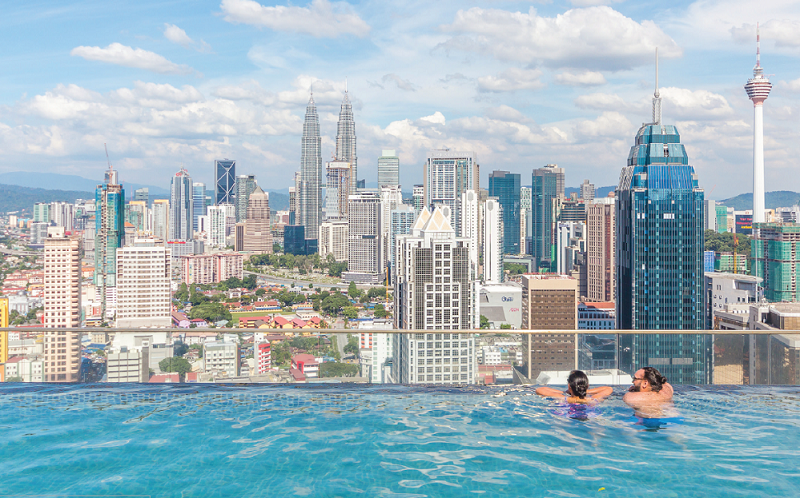 Here you could ascend the 88-storey Petronas Twin Towers and admire the view from the Skybridge, or relax in one of the city’s lush parks. Phuket in Thailand completes the schedule. Known for its nightlife, the region also has excellent beaches and is a great place to shop till you drop. Back on board you can enjoy Sapphire’s Movies Under the Stars outdoor cinema, and fine dining at Sabatini’s Italian restaurant. Prefer to discover a part of the region in greater depth? Normally this is the preserve of small ships but Holland America’s 1,400-passenger Volendam takes a close-up view of Indonesia. The Indian Discovery cruise is a round-trip from Singapore that includes the large island of Java and more than a few surprises. Komodo, home of the fearsome giant “dragon” lizards, is one. Then, as well as an overnight stay in tranquil Bali, there’s a call at neighbouring Lombok, which is dominated by a huge volcano. 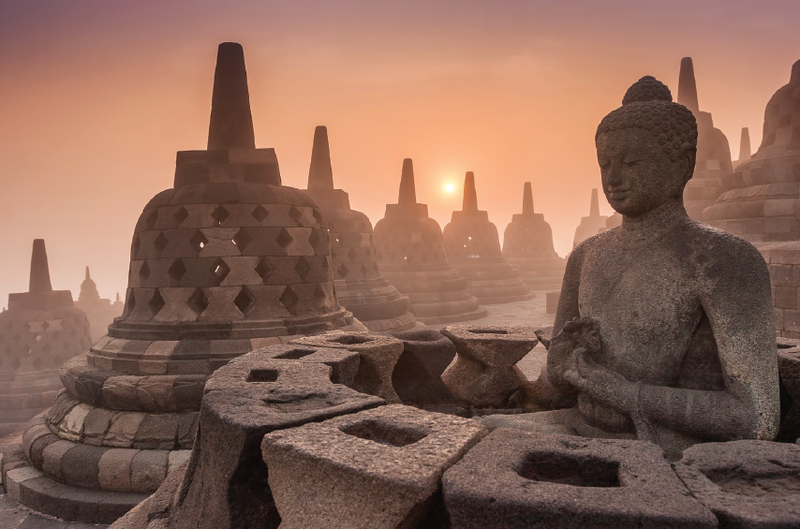 Java highlights include the sprawling metropolis of Indonesia’s capital, Jakarta, though probably the most exciting destination is Borobudur near Semarang – the UNESCO-listed Buddhist temple that dates back to the 8th century. More daring guests will probably relish to chance to visit the active Mount Bromo volcano from Probolinggo. Bustling cities, dreamy beaches and steamy rainforests form a tapestry on the fringes of the Indian Ocean. Sailing from Hong Kong to Dubai, P&O’s adults-only Arcadia lets you discover them all. Phu My, for example, is the gateway to Ho Chi Minh City in Vietnam, where the Cu Chi tunnels used by the Viet Cong in the 1960s are a major attraction. An overnight stay in Singapore affords the chance to shop on the famous Orchard Road and indulge in sizzling street food. At Kuala Lumpur (from Port Kelang), you could visit the Batu Caves – a sacred Hindu site – while Langkawi is the place to take a rainforest trek. 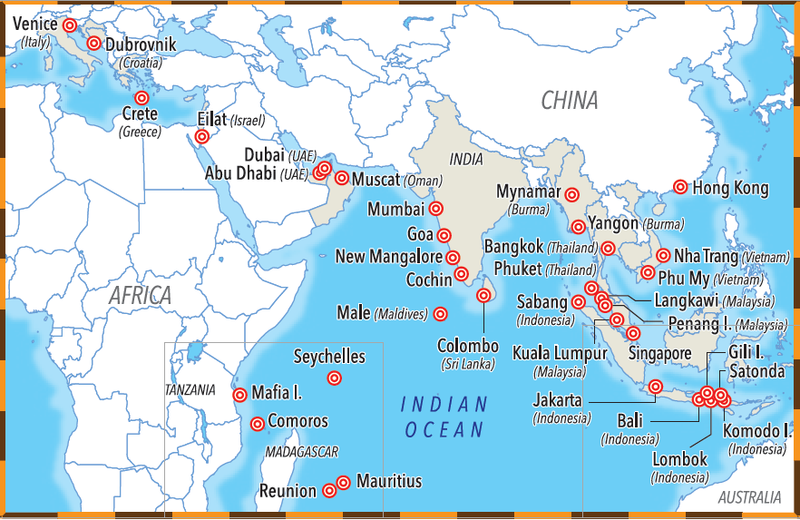 Colombo in Sri Lanka and Mormugao in Goa are also on the list, before arriving in the Emirates. And all the while you’ll be enjoying the flavours of the region at Atul Kochhar’s onboard Sindhu restaurant. Prefer to do your exploring in the lap of luxury? Seabourn’s newly launched Encore promises its 600 guests a top-end, all-inclusive travel experience. The Jewels of India and Arabia itinerary is as indulgent as the ship itself. Starting in Singapore, you’ll visit Kuala Lumpur (from Port Kelang) and the island of Penang, then sail across to Sabang at the tip of Sumatra, where you’ll be fascinated by the turquoise waters and colourful reefs. Galle in Sri Lanka should prove rewarding – especially if you’re a bird-watcher – before your arrival at New Mangalore and exhilarating Mumbai on India’s west coast. Muscat is followed by Abu Dhabi, then an unusual stop at Sir Bani Yas island, which has only recently opened up to cruise ships. The voyage concludes in Dubai. Cooling winds help to keep down the heat of Indonesia – and they also propel the multi-sailed vessels of Star Clippers. Taking just 170 guests, the three-masted Star Clipper transports her passengers back to the romantic golden age of sea travel, with gleaming brass fittings and acres of polished wood.The round trip from Bali is as exotic as they come. Two destinations on Komodo are featured – the island boasts a bright pink beach as well as those huge lizards – and the ship plots a leisurely course round Lombok and its Gili islands, where the secret coves and abundant coral reefs are home to colonies of turtles. You’ll have plenty of chances for swimming and sunbathing, while highlights will include Satonda island, with a crater lake at its centre, and tiny, Robinson Crusoe-style Gili Meno. While everyone at home is settling down to their turkey and tinsel, you can voyage, discovering palaces, bazaars, mosques and forts, along with exotic wildlife such as giant tortoises and huge coconut crabs. Perfect for exploring less-known destinations, Serenissima is a classic small vessel taking just 100 guests. Sailing from Tanzania, she is equipped with on-board Zodiacs to view whale sharks off Mafia Island, the birdlife of the Seychelles’ Aldabra isles, and the soaring peaks of Réunion. There are stops in Madagascar to explore the rainforests, baobab trees, mangroves and beaches, and the tour finishes in Mauritius.